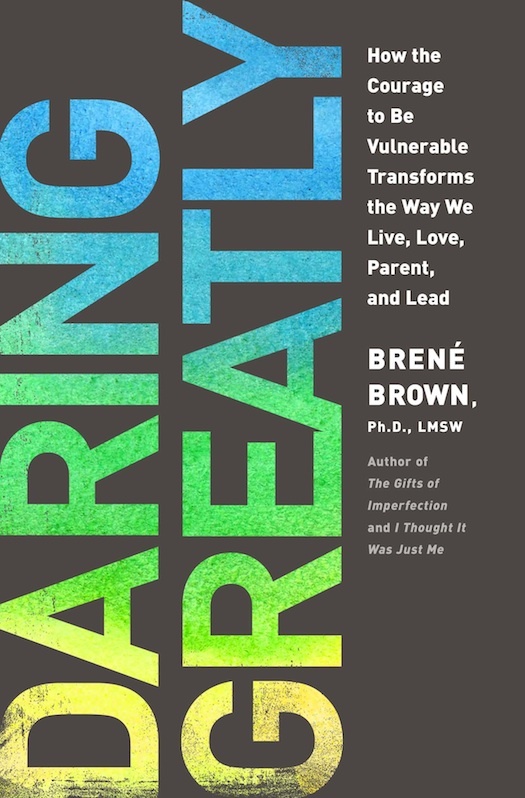 DARING GREATLY by Brene Brown should be required reading for any author who has ever felt vulnerable. When I heard about this book, I was already familiar with Brown's work. 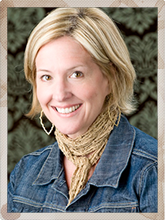 She's an academic researcher on the topic of shame in culture, and her TED talk on the topic of vulnerability went viral in 2010. The book is for a general audience--not aimed specifically at vulnerable authors. But it might as well be. The DARING GREATLY title refers to a speech made in 1910 by Theodore Roosevelt. The first line that Brown quotes begins: "It is not the critic who counts." Ah. We authors would like to believe that it is not the critic who counts, but there are so many days when it is difficult to own that idea. So I gobbled DARING GREATLY down in great gulps. The goal of the book is to teach readers how to rewrite their inner dialogs, subverting the power of shame and making it possible to embrace the vulnerability that authorship requires. Part of the book is spent convincing the reader that vulnerability is a necessary and desirable part of life, but I'd wager that most writers already understand its necessity. We are ready for those pages which address dealing with it. What I like best about this book its silence on the idea of a "thick skin." I'm so tired of hearing that I need one of these, mostly because I can't seem to acquire one. A thick skin is one of the few things a girl can't buy on Amazon.com. Refreshingly, Brown doesn't seem to believe that a thick skin exists. She writes instead that even daring and confident people must keep a vigil against their defeatist gremlins. Everyone, Brown argues, has these gremlins, whether they admit it or not. The difference among people (and authors) is that the happier among us have learned to value bravery for its own sake. Shame resilience is the ability to say, "This hurts. This is disappointing, maybe even devastating. But success and recognition and approval are not the values that drive me. My value is courage, and I was just courageous. You can move on, shame." In other words, we already know we shouldn't waste time feeling bad about a 1-star review on Goodreads. But Brown posits that we also shouldn't feel bad about feeling bad. But we can't let it define us. Brown devotes a chapter to helping the reader unhitch her self esteem from the reactions of the people in the stands. She reminds us how truthful Roosevelt was when he concluded that "the credit belongs to the man who is actually in the arena, whose face is marred by dust and sweat and blood; who strives valiantly; who errs, who comes short again and again." 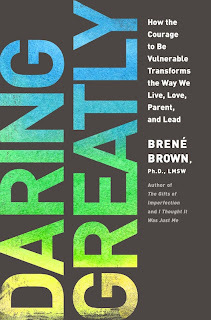 Join BlogHer Book Club for more discussion of DARING GREATLY. This post was sponsored by the BlogHer Book Club and Penguin USA, but the opinions rendered here are my own.